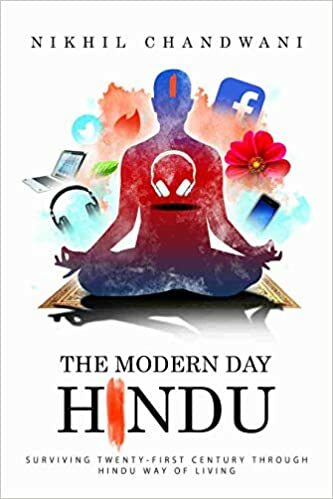 The Modern Day Hindu by Nikhil Chandwani is based on how to follow Hinduism in this modern age. This is my first read from this author. The cover page is awe-inspiring. I like the title as well. The story is about the author's experiences. He explains Hinduism with the help of seven spheres, the music he listens, and movies he watched. I like the way he comes up with an uncertain notion of life, light, relationship, money, Artificial Intelligence, etc. in a divergent manner. I read a few books on religion and spirituality. They were purely based on mythology or ancient teachings. But The Modern Day Hindu seems unusual to me. Nikhil Chandwani wrote it in an insightful way; maintain a witty aspect as well. I love the abbreviations used by the author. For example, LIFE means Loving Input from Everywhere. LUST stands for Loving Ur Special Talents, and many others. I read this book slowly and steadily to contemplate its messages. What I don't like about this book is that the author uses so many movies and music references. Not every reader knows about all of them, so it definitely messes with the head and breaks the flow of reading. There are a few spelling mistakes. The language is easily understandable. It's a short read but gives a new perspective. The book is definitely for a particular set of readers. I would recommend this book only if you want to know about the universal theories and society in an unorthodox way.